Health Canada has approved a new ALS drug that is showing the potential to slow progress of the fatal disease. Health Canada has approved a new ALS drug that is showing potential to slow progress of the fatal disease. Generically known as Edaravone, its brand name is Radicava and it's the first promising ALS drug to be approved in Canada in almost 20 years. "You will be able to walk longer, you will be able to take care of yourself longer, you'll be able to work longer, and you'll be able to play with your children or grandchildren longer," Montreal neurologist Dr. Angela Genge told CBC News. Canada is the fourth country to approve the drug, after Japan, South Korea and the U.S.
Amyotrophic lateral sclerosis (ALS) is a neurodegenerative disease also known as Lou Gehrig's disease. It eventually causes its victims to lose the ability to move, speak, swallow and breathe. Patients usually die within three to five years of diagnosis. At any one time, 3,000 people in Canada are living with the disease. That number hasn't significantly grown because, while about 1,000 new ALS patients are diagnosed each year, that same number of Canadians die annually from the disease. The primary drug Canadians with ALS have relied on since 2000 — Riluzole — can extend life by up to about three months. But in a small clinical trial in Japan, Edaravone was shown to have slowed the disease by 33 per cent. It was only a small trial, but for people facing this brutal disease it offered hope. ALS patients in Canada have been pushing the federal government to approve the drug. Some desperate sufferers have spent tens of thousands of dollars to fly to Japan to buy it and bring it back home. "I spent almost $45,000 but nothing is expensive if you want to be alive," said Nancy Roch, who was diagnosed with ALS in March of 2017. She started taking Edaravone in July 2017 and said she believes it has made a difference. "I'm still able to be walking. I lost all of my muscles in my left hand and arm and it started also in my right hand, but I'm sure that drug helped a lot to slow down the progress of the disease." Dr. Genge said the drug works best during the early stages of the disease because it can't restore function that has already been lost. 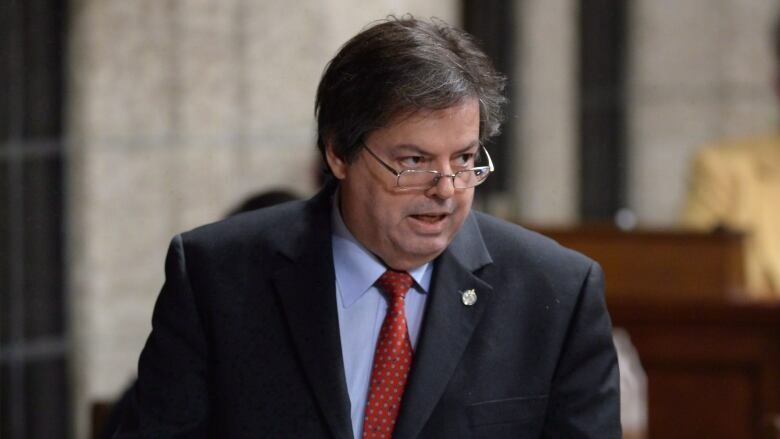 The disease took on new significance on Parliament Hill when Liberal MP Mauril Bélanger was diagnosed with it. He died in August, 2016. A number of MPs from different parties subsequently formed an ALS caucus, which works to raise the profile of the disease and push for a cure. "It's not an accident we've had this kind of aware Health Canada," said Dr. Genge. Liberal MP Francis Drouin, who chairs the ALS caucus, said politicians are not allowed to try to influence the approvals of drugs. This past spring, Health Canada began reviewing Edaravone through its priority review process due to the limited range of treatment options for ALS patients. That process accelerates the review to 180 days rather than the typical 300 days. While the drug is approved as of today, questions remain about when it will be made available to patients, how the intravenous drug will be made available, how much it will cost and who will pay for it. Those questions are dealt with under a different federal process, with no set timeline. "We're so pleased that it was able to go through a priority review," said the CEO of ALS Canada, Tammy Moore. "But the reality is in 180 days, 500 Canadians died. And what we don't know is how many more will pass away before it gets through the reimbursement process."